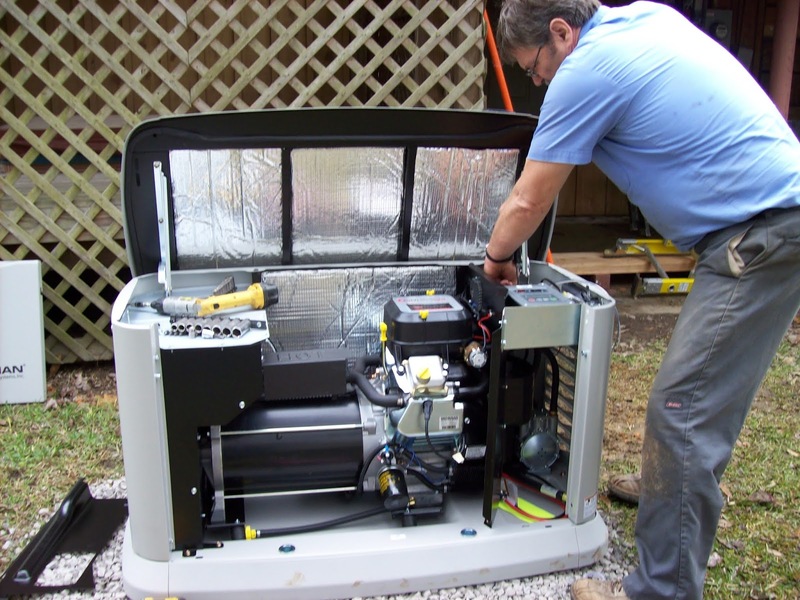 If you want to make your generator’s life longer then you should have proper knowledge about propane generator maintenance and care. Those who are living in hurricane headed area they should keep some minimum preparation for natural disasters. Among so many ways, one of them is keeping a generator of your own and propane generator is best in this service. Those who have a generator they probably face these problems of dead batteries, bad fuel, cracked heads, burnt electrical components etc. You can prevent all these issues by implementing a regular maintenance routine. In terms of generator maintenance, the first thing is to check the battery power regularly. Especially those who have standby generators, they generally lose their machine because of this battery damage. With this in mind, you have to make sure the batteries you are incorporating are robust and sturdy. So it can avoid any start-up hitches and run for a long time. No matter whether you are using the unit daily or not you have to service it at least twice a year. Experts recommend selecting such a season like a fall or a springtime to service their generators. It's good to avoid windy or stormy periods for servicing your unit because there are chances of sudden accidents in this season. Nonetheless, by following a regular maintenance routine you can reduce the chances of not working your machine in an emergency period. It doesn't take more than an hour to complete an average service. The cooling system is one of the important parts of this machine. That's why you need to check the coolant level at existing intervals. So maintain a routine of checking the cooling system. But don't forget you have to this work when the unit is completely shut down. Make sure you are following an annual fuel cleaning and filtering routine for the betterment of your generator. In this process, you have to use biocides annually in all generators but aware of you can't do the same for standby generators. Besides this maintaining, a record book means to be a good habit for you. You can keep notes there in which date you found issues or fixed the problem. You should check all the components of the unit manually once a year. Take a view of the stuck buttons, corroded elements, and the loose wires before you meet with an accident. Also, make sure you have checked the frayed wire and there remains not any loose connection. The place where you have chosen for setting the generator to make sure its surrounding is clean all the time. You shouldn't leave any dirt or leaves near around the unit, clean the debris and keep the place neat and clean. However, in terms of propane generator maintenance, the most important fact is to follow the user manual properly. There you will get model specific information that will help you maintain the best operation and maintenance for the year round. Nowadays most of the units come with a maintenance kit, which makes the maintenance a breeze.